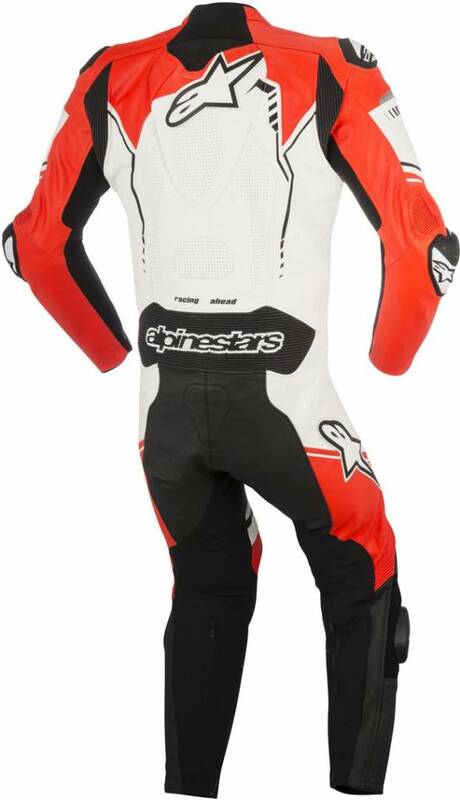 4 striking versions of great Alpinestars 1 piece. 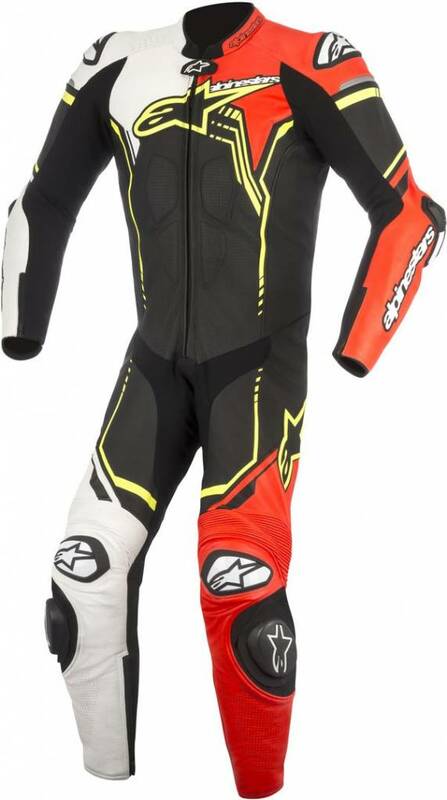 An aggressively designed, premium full grain leather suit fully optimized track or street riding, the GP Plus Leather Suit is anatomically profiled to ensure excellent comfort and performance fit. 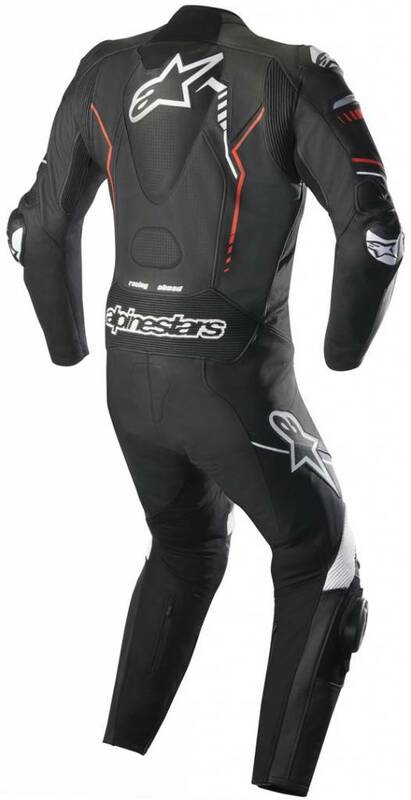 Packed with class-leading, track-tested protection such as Alpinestars exclusive Dynamic Friction Shield (DFS), this comfortable and versatile leather suit can be worn in a variety of riding situations. Highly abrasion resistant construction using premium, 1.3mm full-grain leather for excellent comfort, fit and durability. 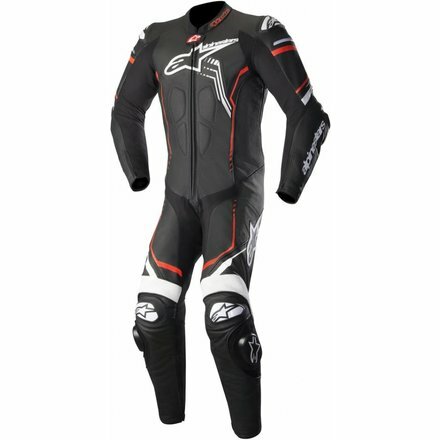 Alpinestars race-derived, external Dynamic Friction Shield (DFS) protectors in the knees and shoulders feature injectionmolded shells and dual density foam padding. 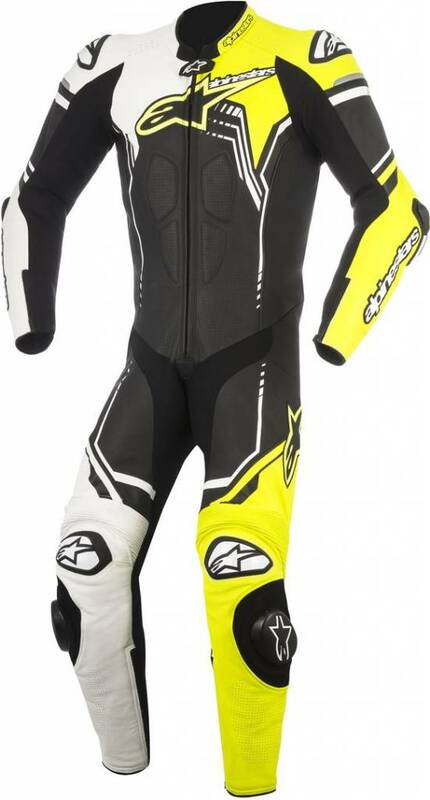 Removable, internal protectors offer superior impact protection to shoulders, elbows and knees. Snap connection system allows integration of level 2 Nucleon KR-R Back Protector for the ultimate in protection. 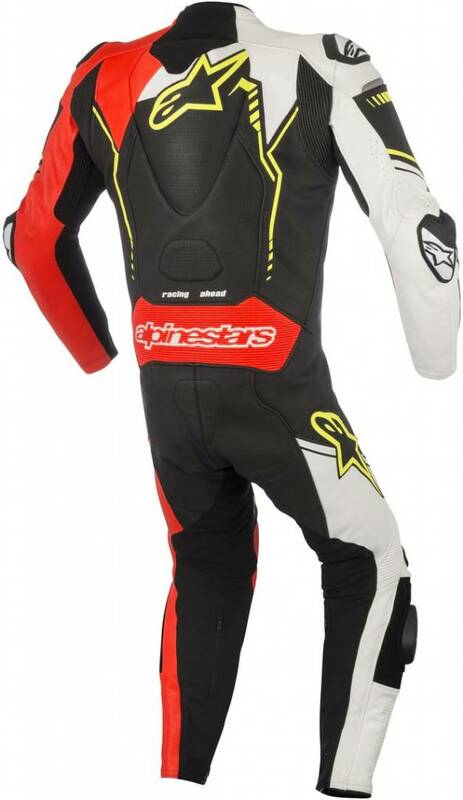 Chest pad compartments with PE padding (Alpinestars’ Nucleon chest protection available as accessory upgrade). 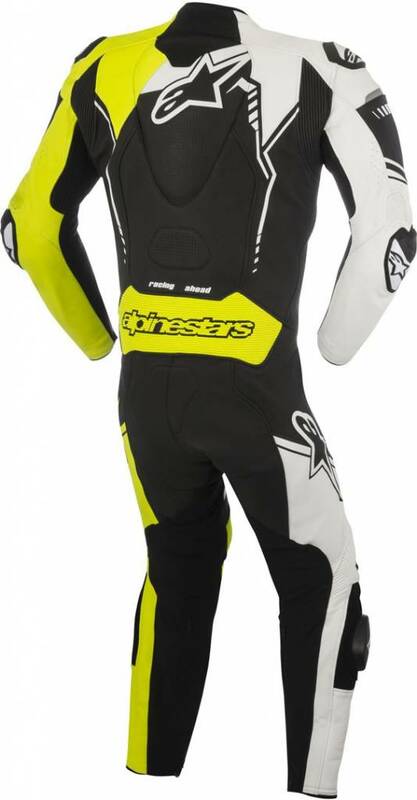 Replaceable Alpinestars PU knee sliders incorporate Velcro® for customized and secure fitment and developed for the ultimate in feel and sensitivity on track. 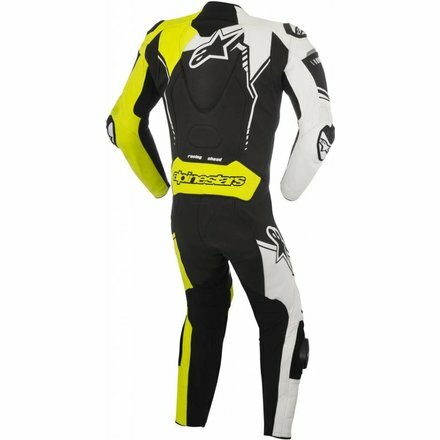 Advanced poly-textile accordion stretch panels in key articulation areas on the back and elbows for excellent racing fit. 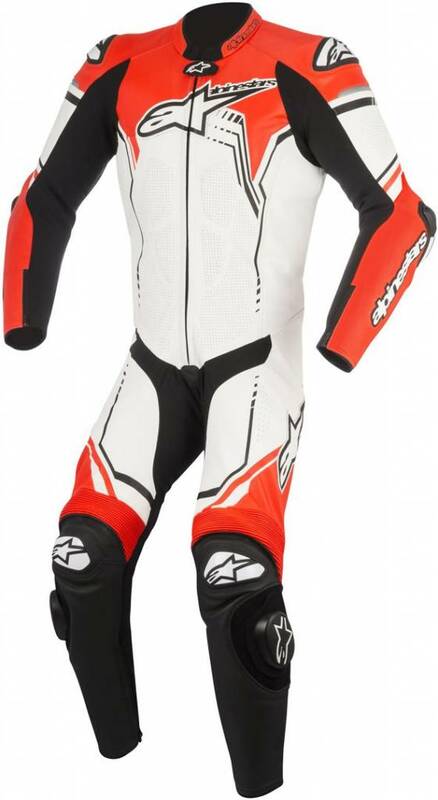 Extensive advanced poly-fabric stretch panels on crotch, underarms, calf and back of the knees for range of movement. 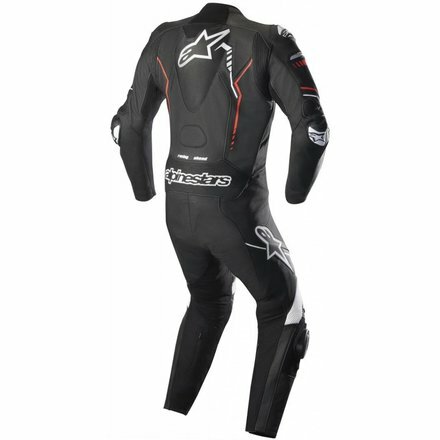 High-density perforations on chest, arm and legs offer airflow and help regulate body temperature. 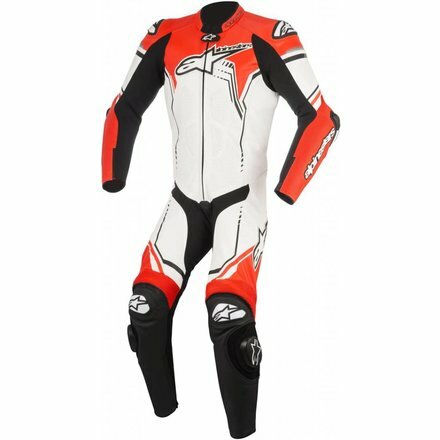 Sleeve and ankle comfort cuff edging for breathability; cuffs incorporate zip closures for secure and customizable fit. 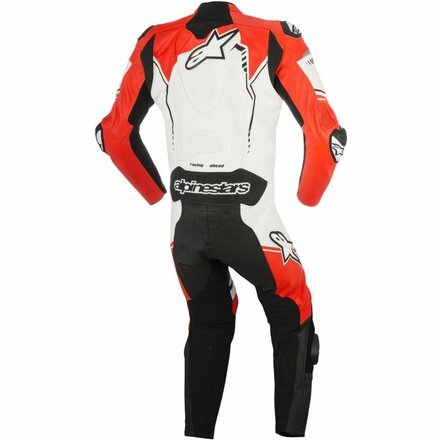 Soft, 3D mesh and leather collar construction for excellent levels of breathability and comfort. 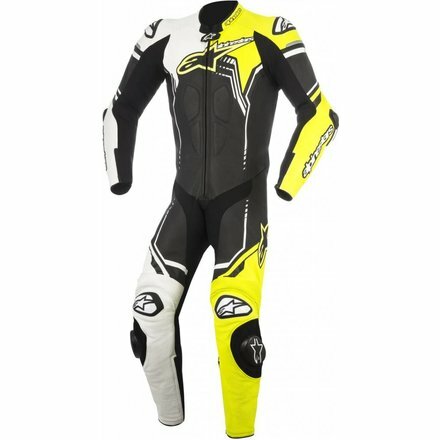 Moto GP profile, perforated, back hump for improved aerodynamic and ventilation performance. Full lining incorporates 3D mesh and stretch inserts. 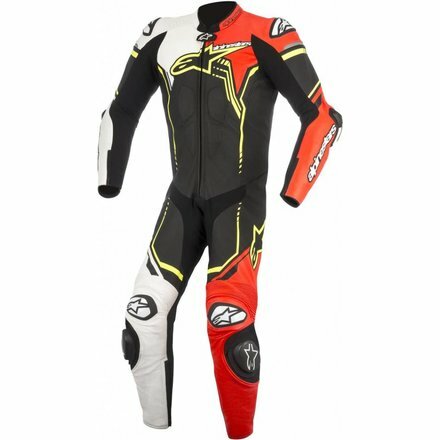 Zippered rear calf expansion gusset improves range of fit comfort. 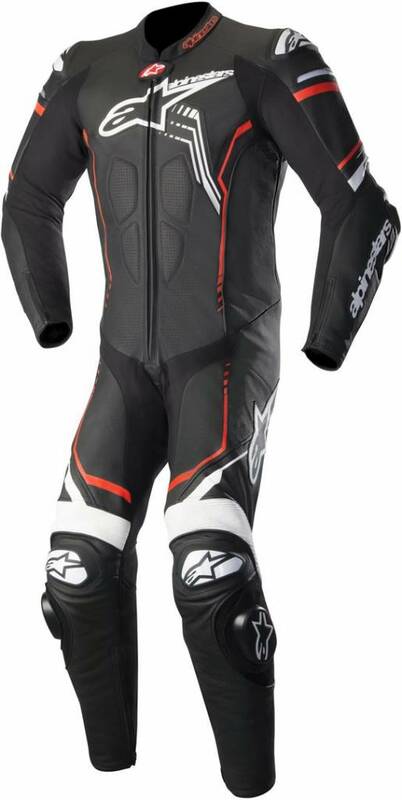 Rear reflective detailing for improved rider visibility.